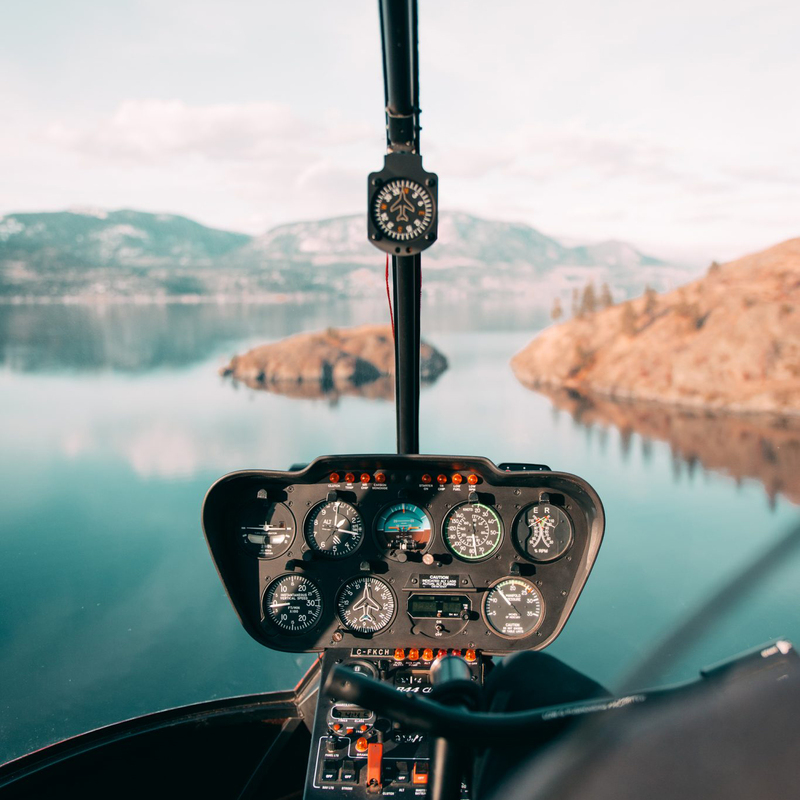 Whether it’s your first time and you’re seeking that unexplainable thrill of seeing the world from a birds eye view, or maybe you’re an experienced veteran and helicopter tours are your thing… we have a heli adventure for you! We’re here to make your experience IKONIC! This adventure takes you right into the mountainous terrain that surrounds all of the Okanagan. We follow the canyon of Bear Creek and Terrace Creek, climbing up to 6500 feet, flying over the peaks of Terrace Mountain. Before turning back, we do a fly-by of the amazing Christie Falls, which is seen in a new perspective hovering in front of the gushing waterfall. Following the different valleys and small mountain top lakes, we fly back to the city scape with a quick pass through the rose valley reservoir then returning to pad IKON. This adventure encompasses all the major staples Kelowna has to offer. You start the same as the “Lake Okanagan Circuit” but instead of looping back, you head up to Kelowna’s number one tourist attraction: the Myra Canyon Park Trestles. Flying eye level at the trestles gives you a different perspective to these amazing feats of engineering from the past. Leaving Myra you’ll head down towards Scenic Canyon Regional Park following Mission Creek back into the cityscape of Kelowna and back to land at pad IKON. This adventure departs north bound along the east shore of Okanagan Lake, crossing over Lake Country and flying over the beautiful Wood Lake, followed by Kalamalka Lake with its beautiful summer colours. Then we transition to a low level, flying through the amazing Cougar Canyon – almost feeling like you could touch the scenery! Then we’ll pop back out on to the north end of Kalamalka Lake, flying back south bound overlooking all 3 lakes at once, as well as the smaller Lake Country vineyards returning back to pad IKON. This adventure has two choices. You get to choose between the North route which gives you year-round beautiful fly over views of popular destinations like the 50th Parallel Estate, Gray Monk Estate Winery, or ExNihilo Vineyards along with the outstanding changing colours of Kalamalka and Wood Lake, returning down the beautiful shoreline of Okanagan Lake. 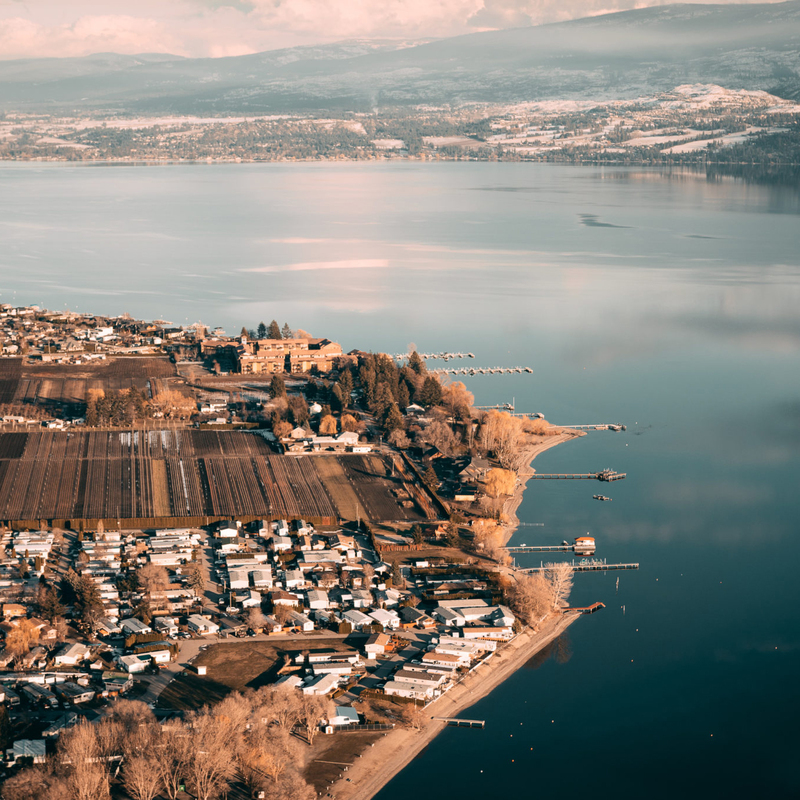 Choose a southern departure overflying the most visited winery in B.C., Summerhill Pyramid Winery, then continuing over Kelowna suspension bridges down to the Naramata wine region with a multitude of different small wineries. 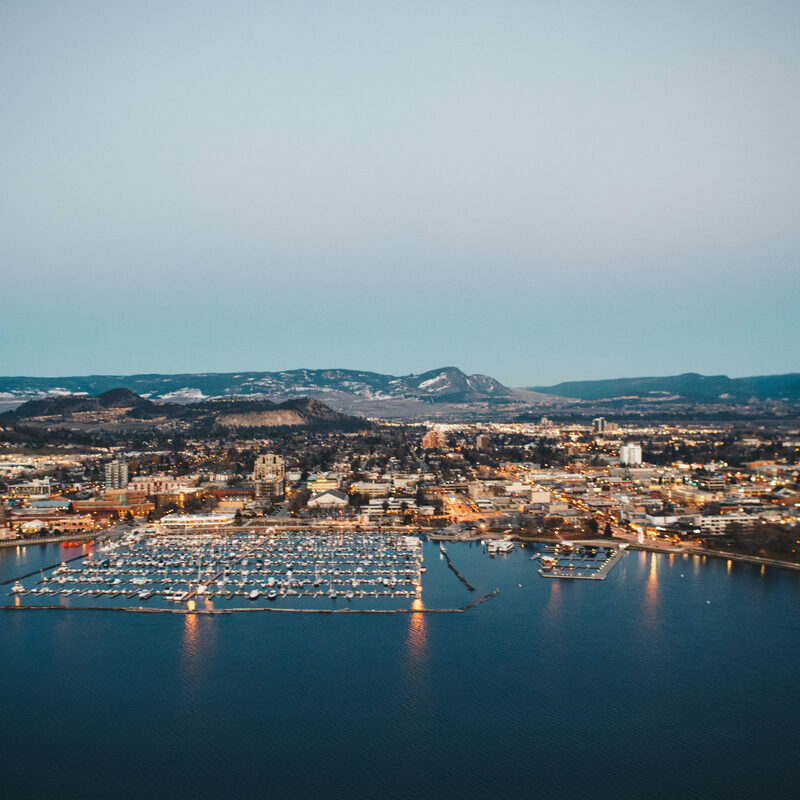 You’ll return along the west shore of Okanagan Lake finishing with an overfly of the amazing Mission Hill Winery. A fellow pilot and good friend once said something very simple that always resonates deeply with us here at IKON, “Everything’s cooler with a helicopter.” and we fully agree! So if a predetermined adventure doesn’t suit your needs and you want something outside the box that YOU think is COOL — like landing on a peak of your choice or flying to a private fishing hole or simply just exploring! 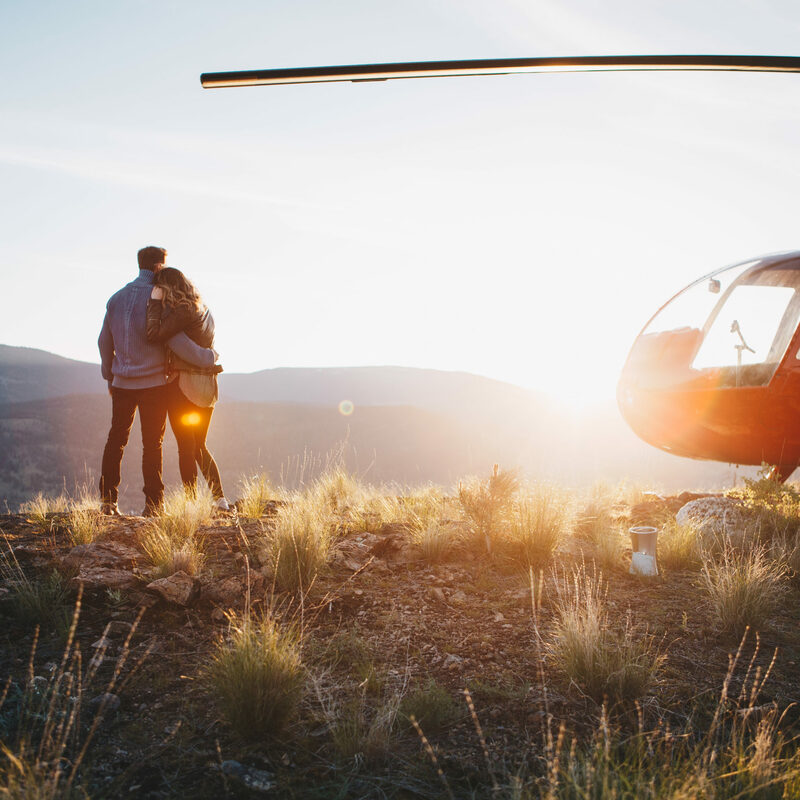 We can guarantee adding a Heli Adventure into your life won’t disappoint! We’re more than happy to accommodate whatever you can dream up and will cater to your needs the best we can!